Sometimes it amazes me just how much effort people will put into making something that will just be eaten a short time after its made. I suppose if I am going to put a lot of effort into something, I want to last a while. However, if everybody felt that way, I wouldn’t have all of the amazing cakes and cookies and cupcakes on here that I post fairly often. Speaking of which, I stumbled across this amazing Doctor Who Heavenly Host cookie that I knew I had to share with you all! 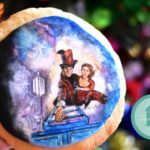 One of my favorite Doctor Who Christmas special’s is the Voyage of the Damned where the Doctor is on the space cruise Titanic ship which is in danger which is where this delicious looking Doctor Who Heavenly Host cookie comes from. The Heavenly Host’s were robots meant to assist passengers before they ended up turning evil. In all this time, I have never seen anybody do anything like cosplay or any sort of creation with the Heavenly Hosts until now. 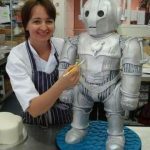 This amazing Doctor Who Heavenly Host cookie was created by Kristi Beck Touchette from Ahimsa Custom Cakes. 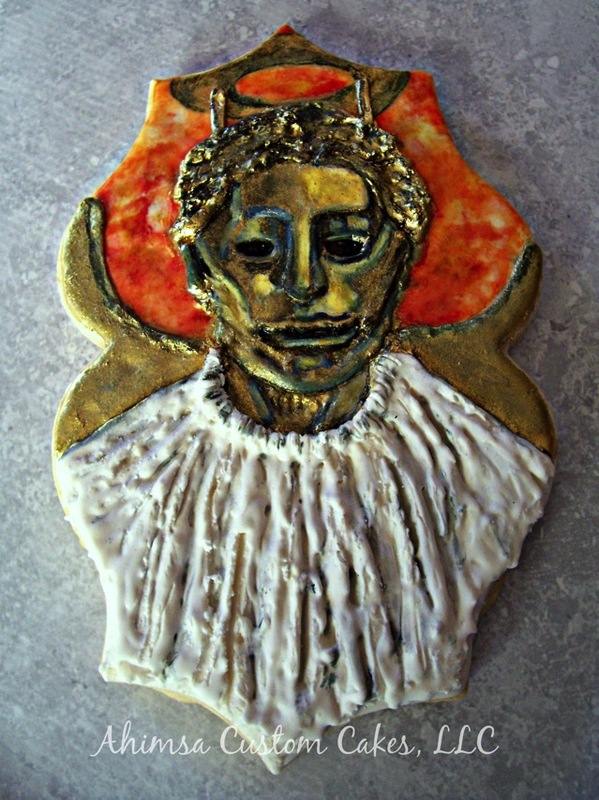 I think its safe to say she did a pretty fantastic job with this angelic Heavenly Host cookie! 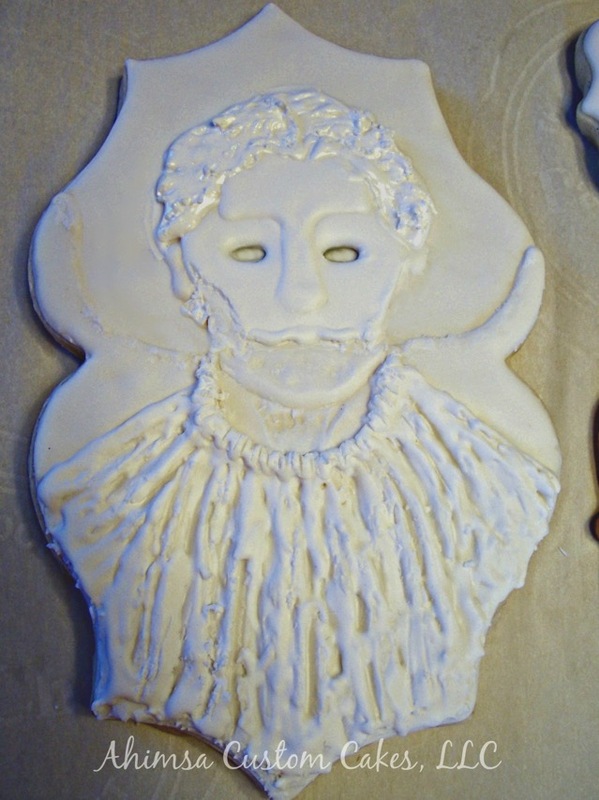 It looks like she spent quite a bit of time (and well worth the effort) into decorating this Doctor Who Heavenly Host cookie. I think all of the colors and everything just turned out brilliantly! 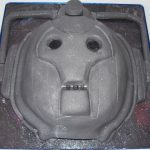 Have you made any geeky cookies lately? If so, we would love to see them so either share them in the comments below or with the contact us page linked above because we might just want to share your delicious creation with the world! 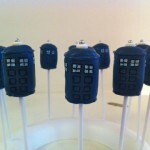 Speaking of Doctor Who cookies, you might also like to check out the Doctor Who Cookies I have posted in the past! 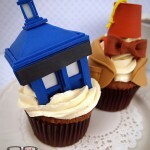 Share this with any Doctor Who fans and cookie lovers you know! 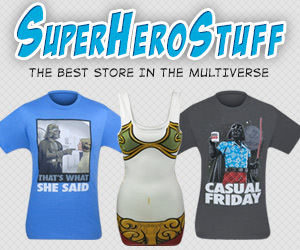 Make sure to like us on Facebook and follow us on twitter too!